Undersound II is the follow-up to the Undersound (CD LR 295) released in September 2000 after a long tour of the trio much to the critical acclaim. Undersound II promotes the same musical concept as the first CD: undersound is synonymous to the understatement. The difference is that on one track there is a guest appearance of the violinist Malcolm Goldstein. 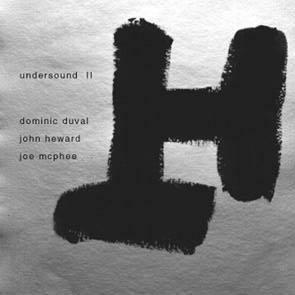 On this recording Dominic Duval (bass), Joe Mcphee (tenor, soprano saxophones) and John Heward (drums, percussion) achieve even a higher level of togetherness in bringing out their concept.